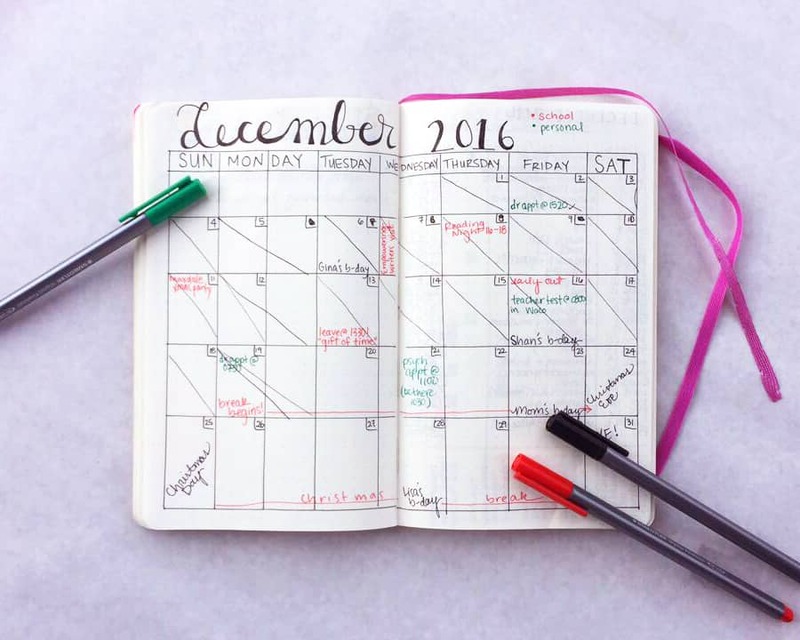 Many of us use the bullet journal system to organize our personal lives and goals, but it can also be a fantastic tool for professionals. And I can’t think of a professional that has more to organize than a teacher. We rely on these wonderful people to educate our children, and with that comes lofty responsibilities and an enormous capability to balance tasks. 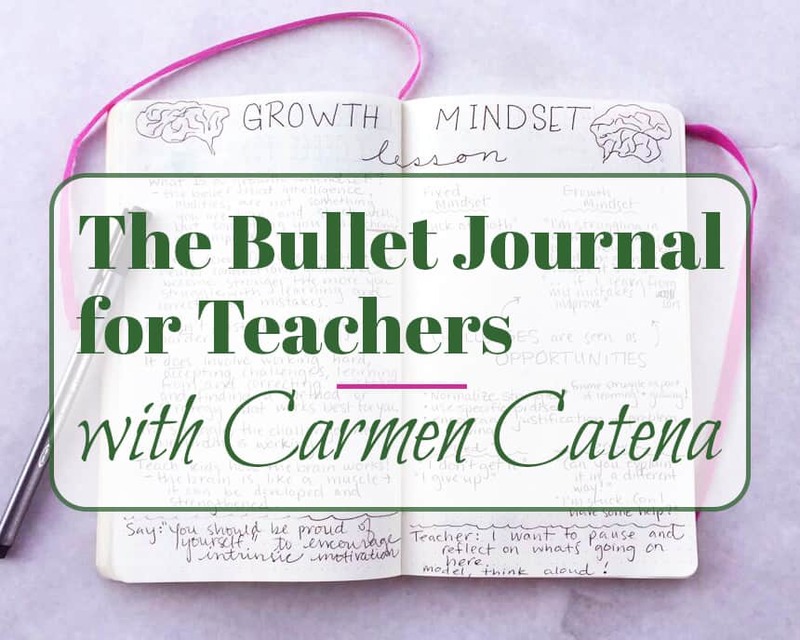 Carmen Catena of The Travelling Teacher walks through how to use the bullet journal for teachers and breaks down what makes it so effective for her as an educator. Notebooks, pens, post-its—you name it and I’ll bet my bottom dollar that any given teacher has hordes of said supplies tucked away into every nook and cranny in his or her desk/office/room. Why? The simple answer is that teaching requires extensive documentation. In the age of No Child Left Behind especially, data collection drives instruction. Lesson plans, homework assignments, grades—and don’t even get me started on the documentation requirements for special education teachers. The danger in collecting copious amounts of data and using a plethora of documentation tools lies in the high probability of disorganization. You grab a post-it here, a piece of paper there, jot down an anecdotal note at 9am, and misplace everything by lunch. Atop the average teacher’s desk sits 4 binders, 79 ungraded homework assignments, 43 post-it notes, and 1 cold cup of coffee (source: me). 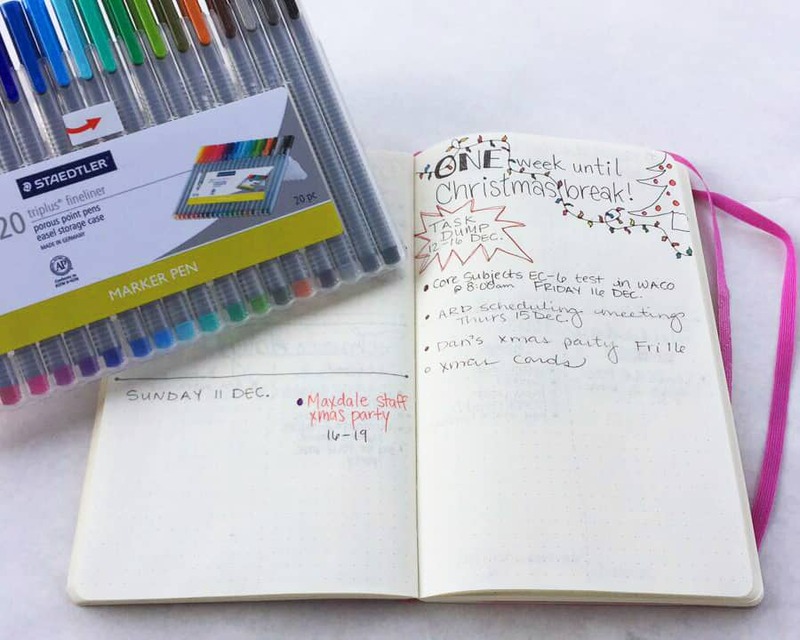 This is where the beauty of the bullet journal really shines. Everything in one place. 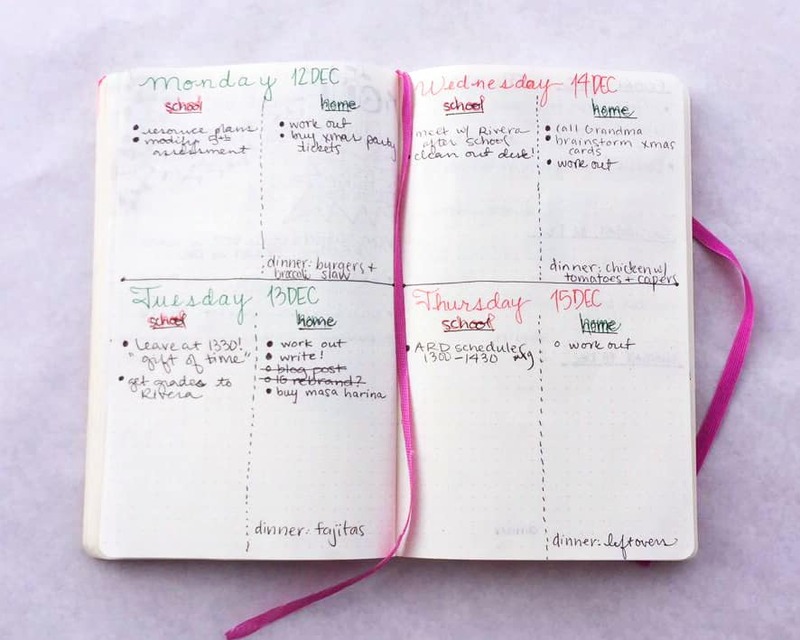 The centrality of the system is divine and its flexibility is almost unbelievable, making the bullet journal for teachers a perfect solution. All teachers have to record similar pieces of information like lesson plans. However, I have yet to meet two teachers who plan lessons in the same exact way. The written format might be the same due to district or school requirements (we have a common template teachers can use), and many teachers use common elements in their planning (lesson structures are rather universal). But in my experience, the art of lesson planning is as unique as the individuals who do it. Many teachers “plan with the end in mind.” In other words, they ask themselves, “What do I want my students to be able to do by the end of this lesson?” and then align their activity and instruction based on the answer. I also know a teacher who first plans killer hooks to engage her students right away and draw them into the lessons, and lets activities and instruction fall into place from there. As a special education teacher, I base a lot of my lessons on what my kids are learning in their general education classes. Therefore, my lesson planning relies heavily on that of the classroom teachers. The flexibility of the bullet journal allows for all of the aforementioned methods of planning. If I want to devote a page for fantastic lesson hook ideas, I can do that. If I want to map out the semester’s tests and project due dates, I can do that as well. 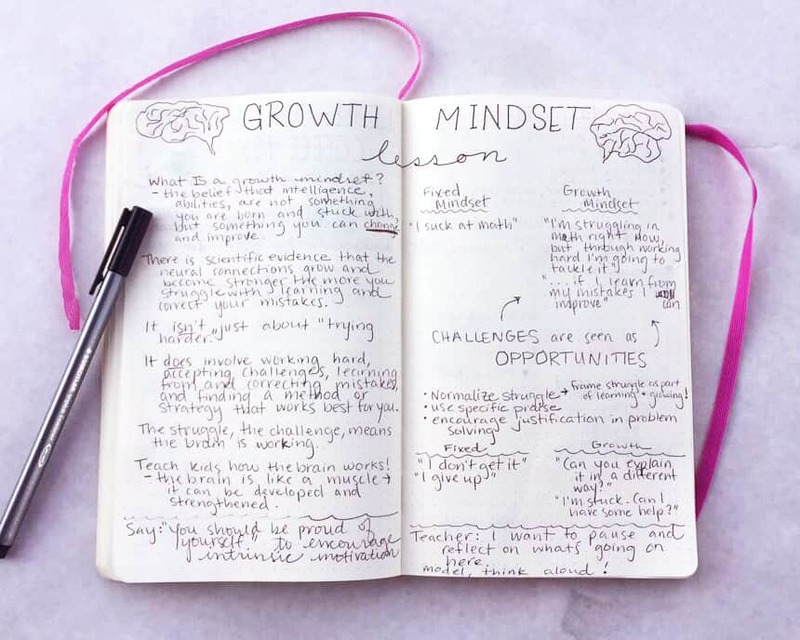 One of my favorite ways to plan a lesson is to brain dump vocabulary, quotes, real-life applications, etc. onto a page and sift through that information to build a lesson with engaging instruction and activities. That’s exactly what I did in my Moleskine for a lesson I’d like to teach when we get back from winter break! I am a “big picture” person. I see in overarching themes and summaries (like my lesson plan brain dump mentioned above). Organizing details is challenging for me, which is another reason why the bullet journal system is so effective for me. I am able to start in big picture mode and filter down as needed, and my bullet journal reflects that. First, I created a school year calendar and filled in events and dates as noted on my school district’s calendar. Each month I create a monthly spread, using key dates and information from my annual calendar. Each week I create a weekly spread, using key dates and information from my monthly spread. See the pattern? The annual and monthly spreads play to my big picture strengths, feeding into the weekly and daily spreads and helping me organize the minutiae. I might be most comfortable seeing the big picture, but in a bullet journal for teachers, the day-to-day planning is the most important. This is why the heart of my bullet journal lies in my weekly and daily spreads. On Sunday I’ll create a weekly task dump page. I’ll jot down everything I know to be happening or due that week—a lot of these carry over from the monthly and annual spreads. Then, I’ll create my dailies and populate them with relevant tasks/thoughts from the weekly page. This process helps to clear my mind before starting a new week and helps keep me focused and organized. 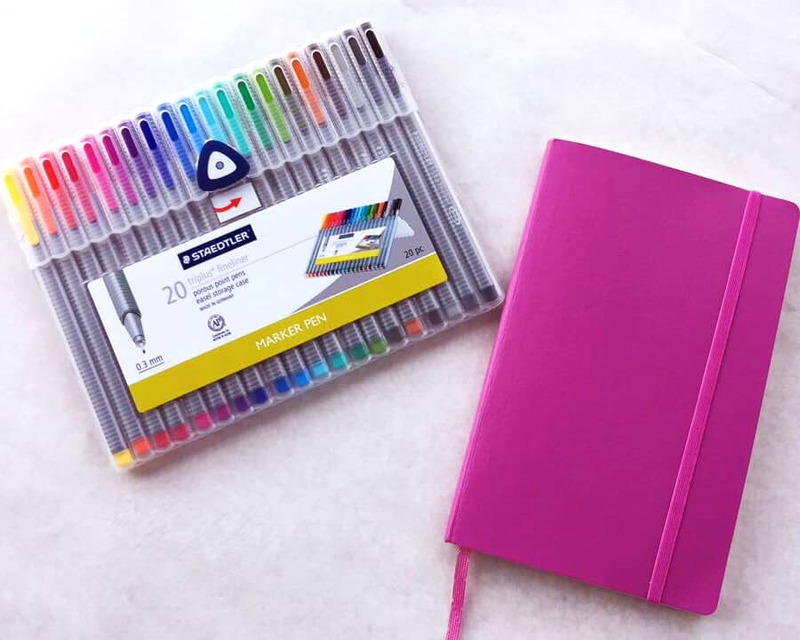 I am very visual, so I rely heavily on color-coding in my dual-purpose bullet journal. For December, I went festive: red for school and green for personal with the help of my Staedtler Triplus Fineliners. Not only does my bullet journal keep all my teacher business in one place, but I can utilize it for both work and personal. I started my bullet journal before I started teaching, so I had the personal side down. When the school year started, my responsibilities and to-do lists increased exponentially. I tried to keep a teacher planner at school, separate from my personal bullet journal, but that failed to gain traction. I just wasn’t able to keep up with two planners. After a little research and decided I could combine my professional and personal lives in one glorious system. What makes this work so well is the fact that my professional and personal lives aren’t so far removed from each other. Teaching isn’t just a job for me. It’s part of who I am; I identify as an educator. Therefore, it doesn’t seem out of place to have my habit tracker on one page and notes from a staff meeting on the next. 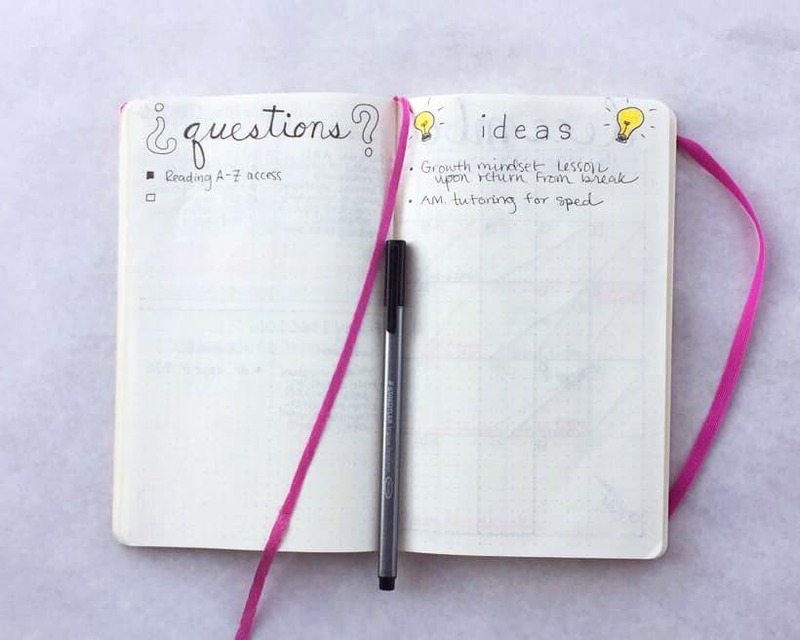 I recently created a “questions” page and an “ideas” page, with the intention of using them for school, but I can (and probably will, at some point) use similar pages for personal thoughts, as well. All in all, the bullet journal for teachers is a great way to get stuff done. With all my work life planning and data AND my personal life, I happy that I can keep it together and running smoothly in my bullet journal. I need to make sure that I can really devote myself to those kids, and I have found the system to help me do that in every possible way. Pssst….. Interested in writing a guest post for Little Coffee Fox? Head over and apply with your idea today! I'm a twenty-something newly-wed first-year teacher trying to find the adventure in all of the above and home-based in the Great Country of Texas. Hi, I am pretty new to Bullet Journaling. I just finished my 23rd year of teaching and found that if I made lists, stuff got done. I am going to use your ideas once school gets started again!! Thank you! Fantastic, Staci! I hope you find the upcoming semester the most organized ever!